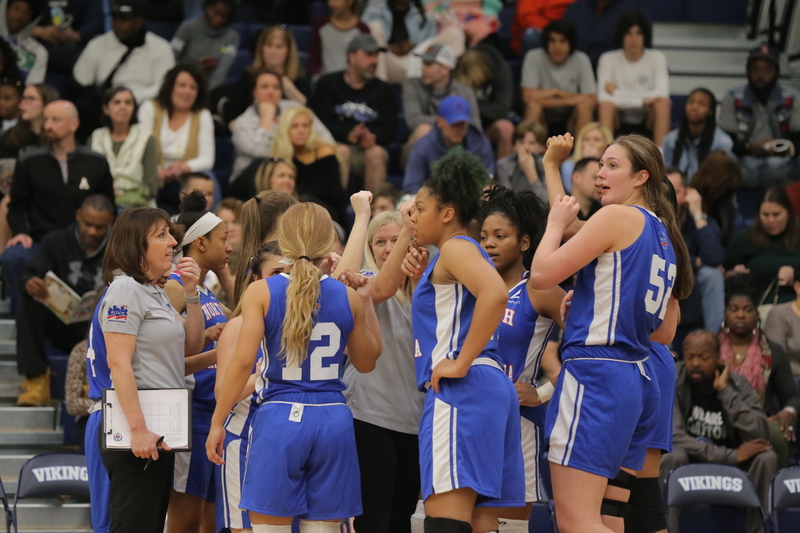 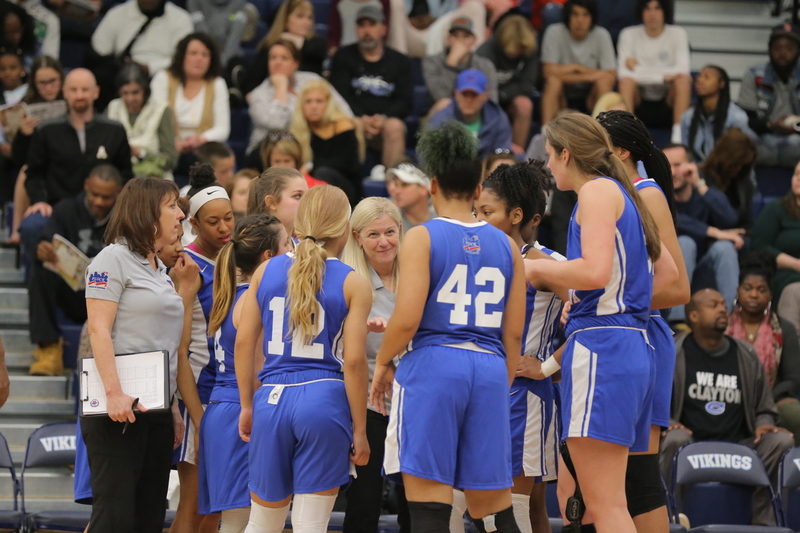 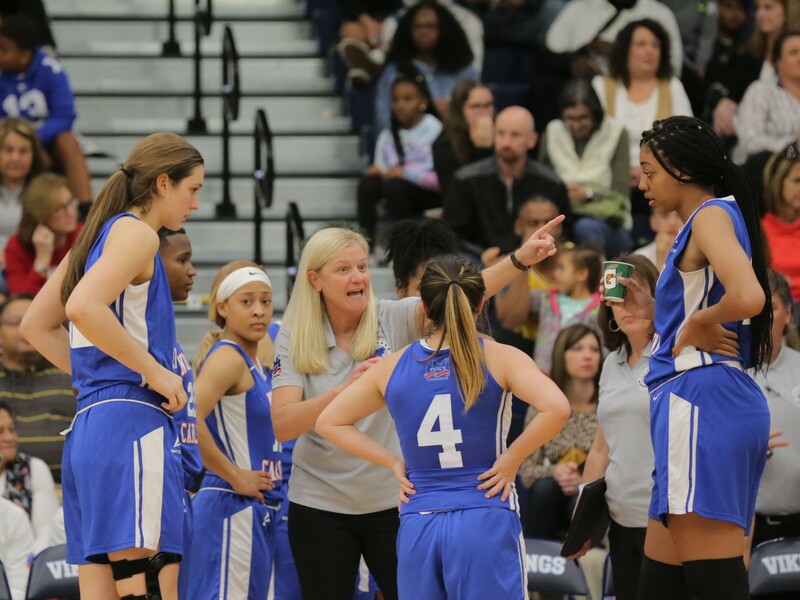 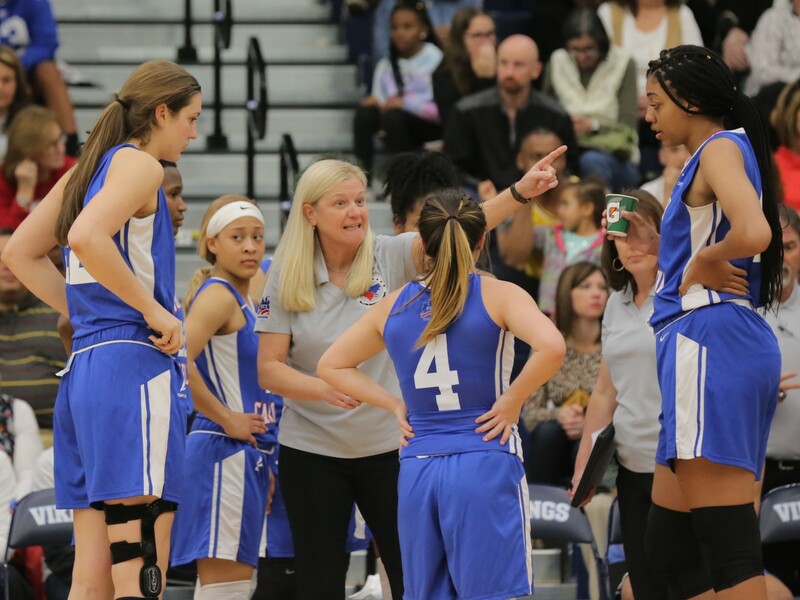 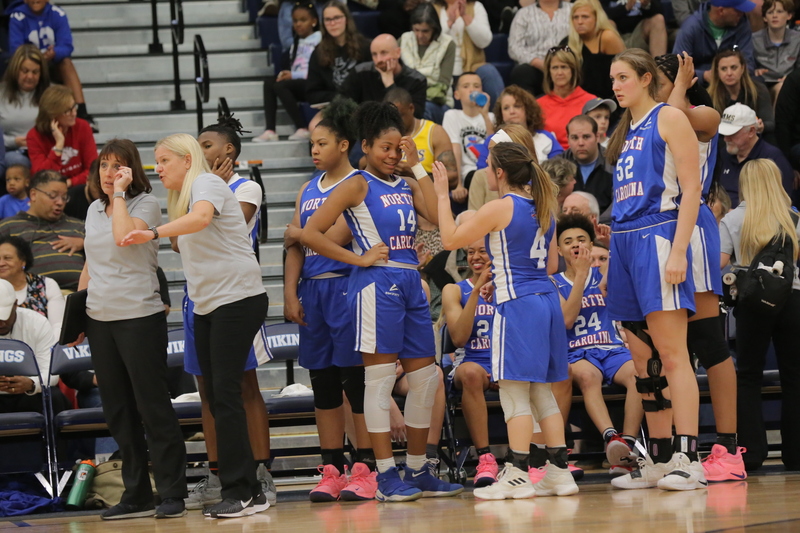 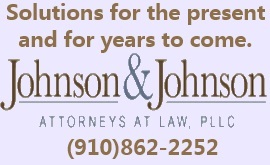 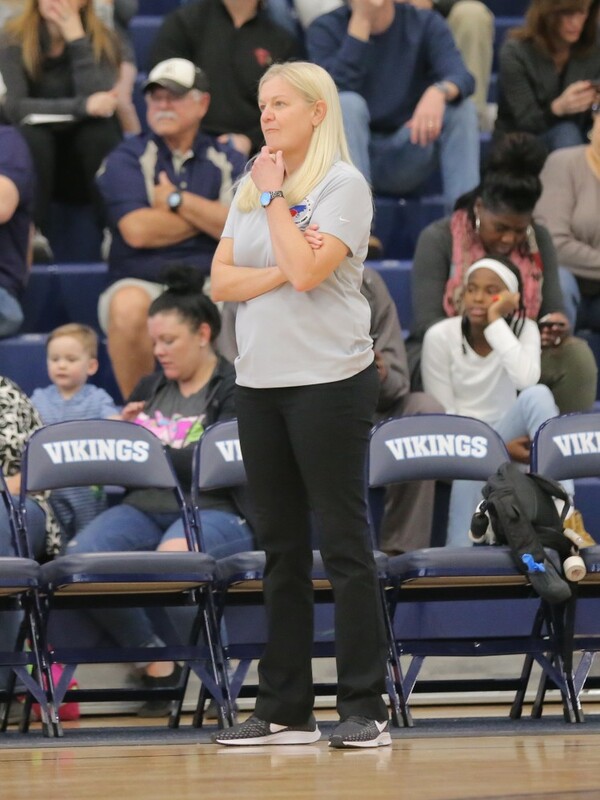 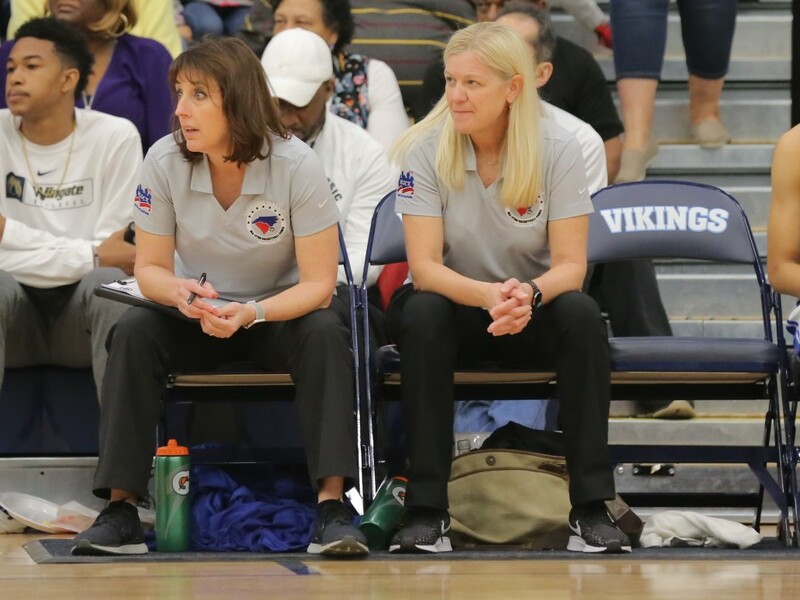 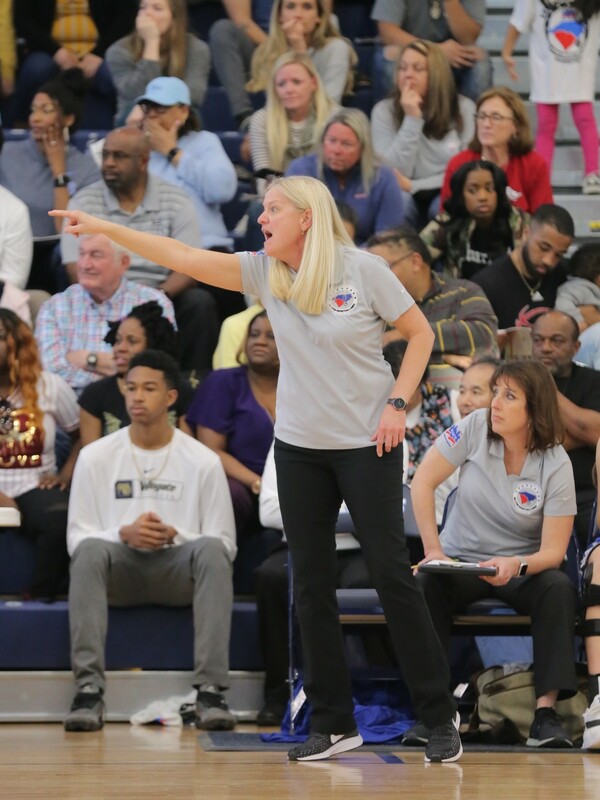 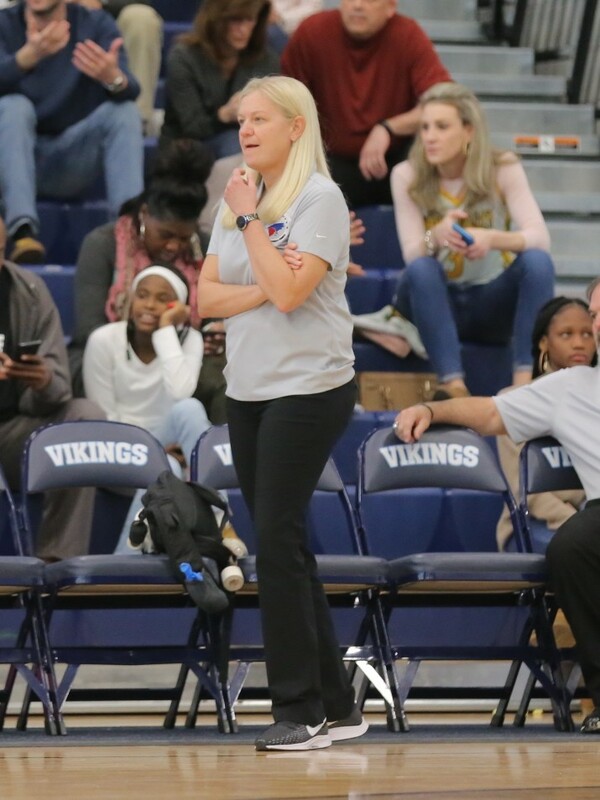 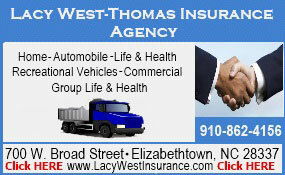 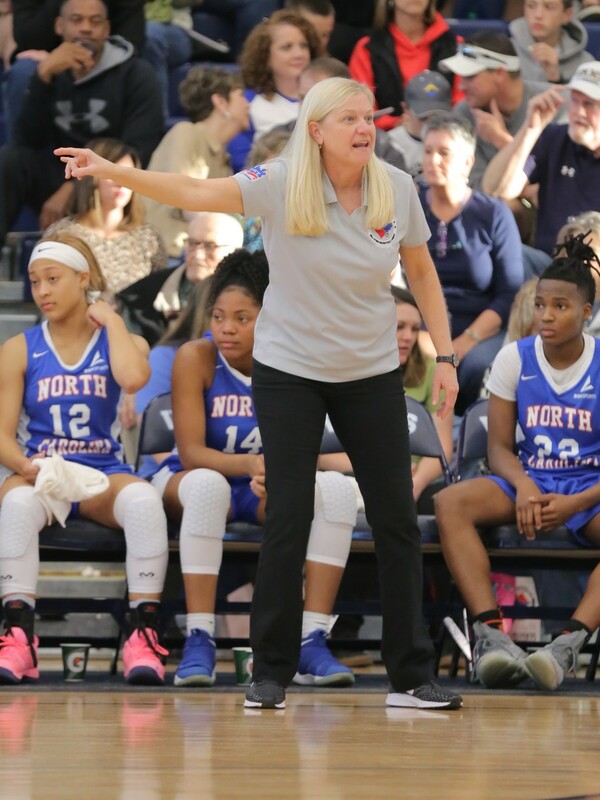 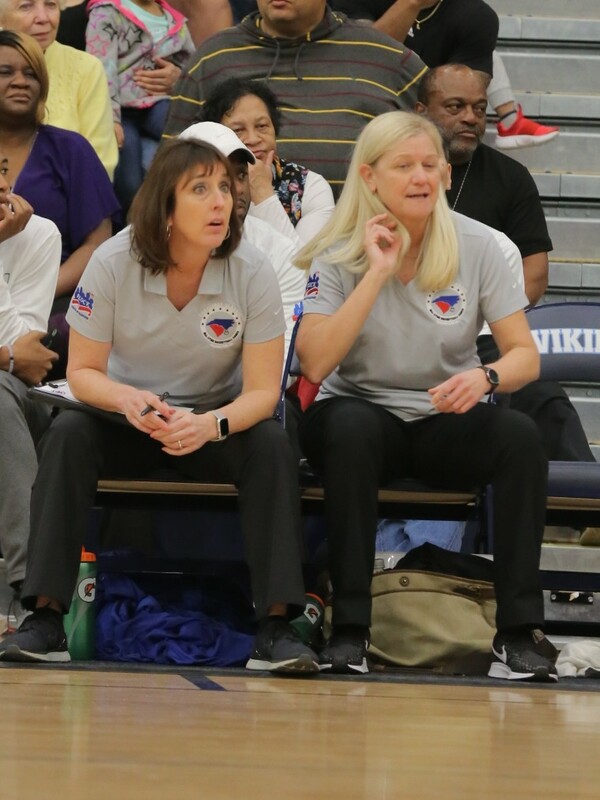 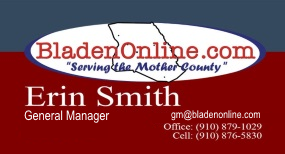 WILMINGTON – North Carolina, coached by East Bladen’s Patty Evers, defeated South Carolina 80-59 Saturday night in the Carolinas Classic All-Star girls basketball game. 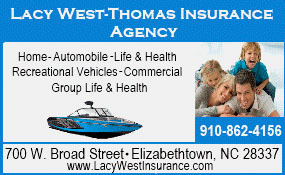 South Carolina led early 10-9 before a 21-4 North Carolina spurt produced a 30-14 Tar Heel lead. 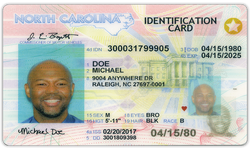 South Carolina never got closer than 6 points the rest of the way. 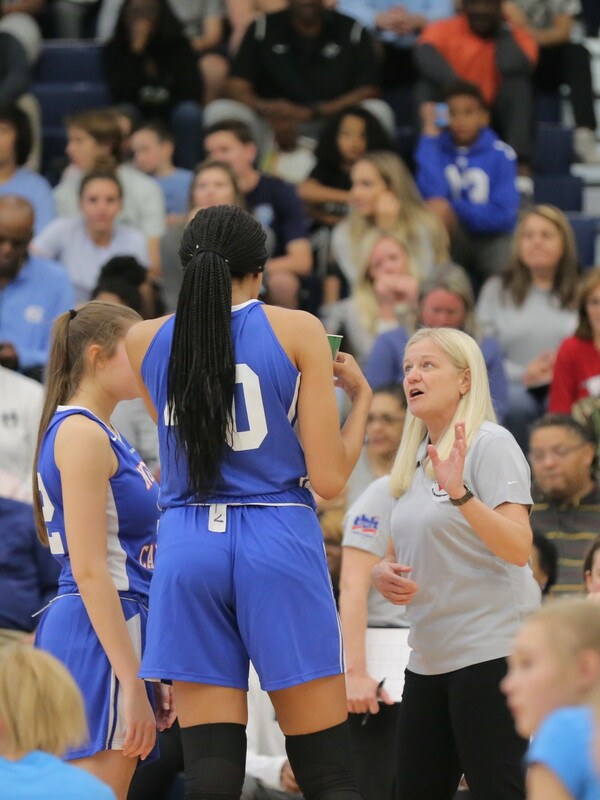 Tamari Key of Cary High School, a University of Tennessee signee, was named the game’s Most Outstanding Player after posting a double-double of 12 points and 13 rebounds. 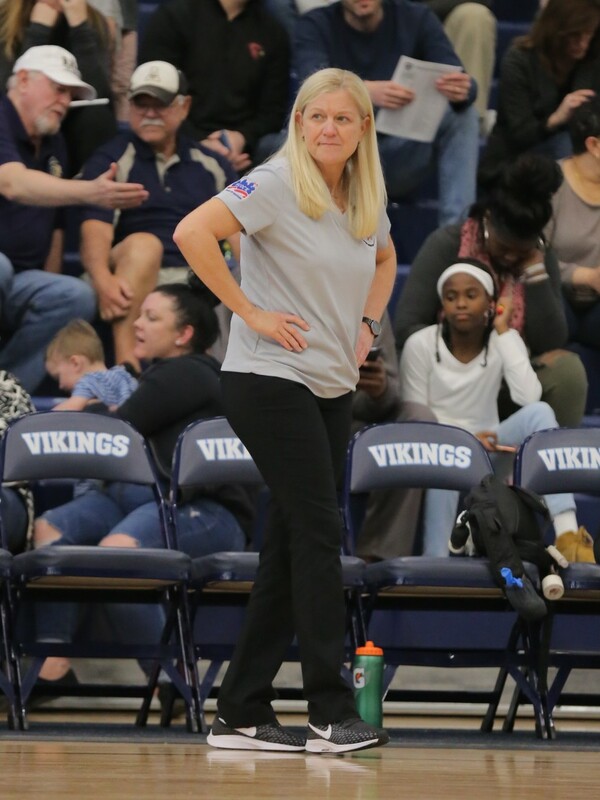 Evers who recorded her 500th career coaching victory earlier this season at East Bladen and now has 509 coaching victories was assisted by Coach Laura Foster of T. C. Roberson High. 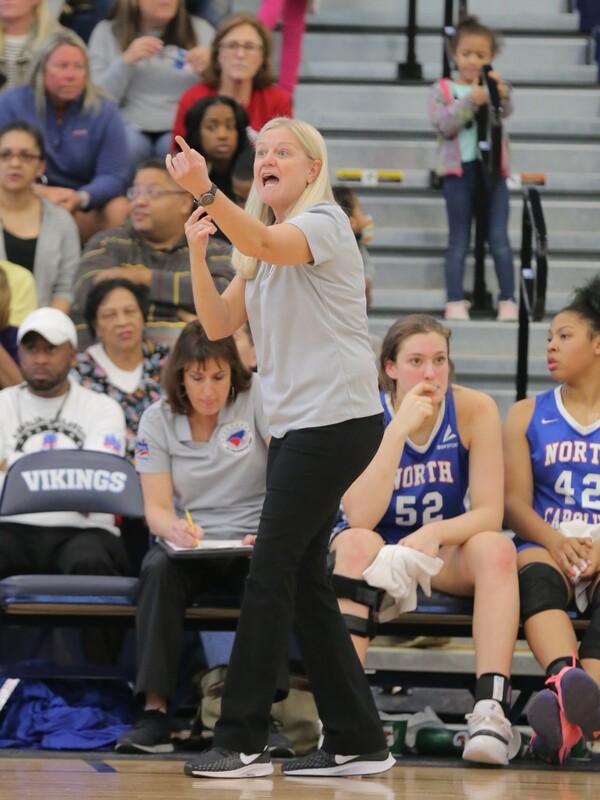 Spring Valley’s Taylor Britt led South Carolina with 21 points. 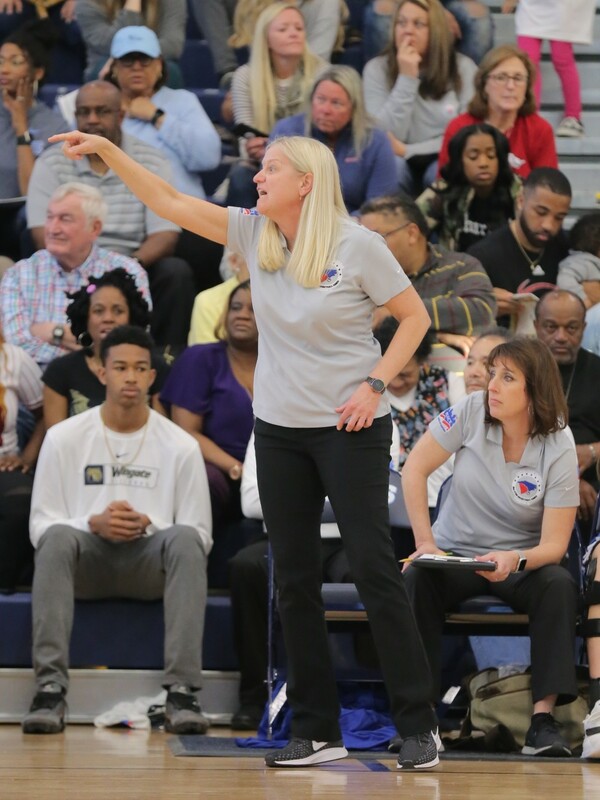 In the boys game, Blythewood’s Trey Jackson, Jr., an Iowa State signee, poured in eight 3–point baskets and a Classic record 36 points to lead South Carolina to a 129-117 victory over North Carolina.